In this article, you will learn how to use Jetpack’s social media functionality to augment your WordPress site. 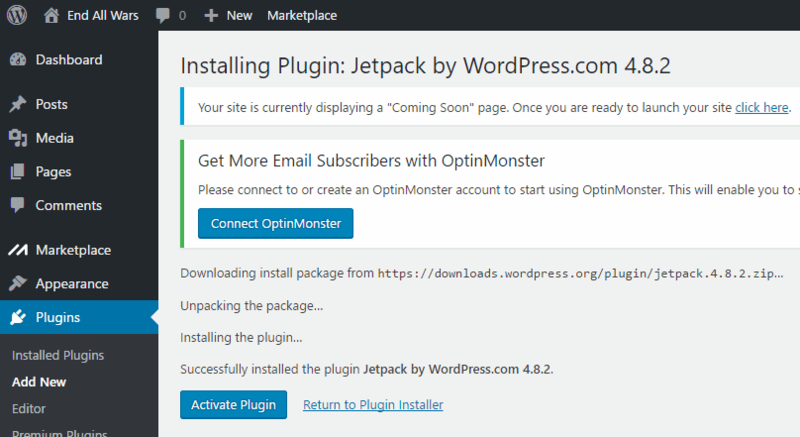 Depending on where you get your copy of WordPress, Jetpack might be a part of the installation – or not. 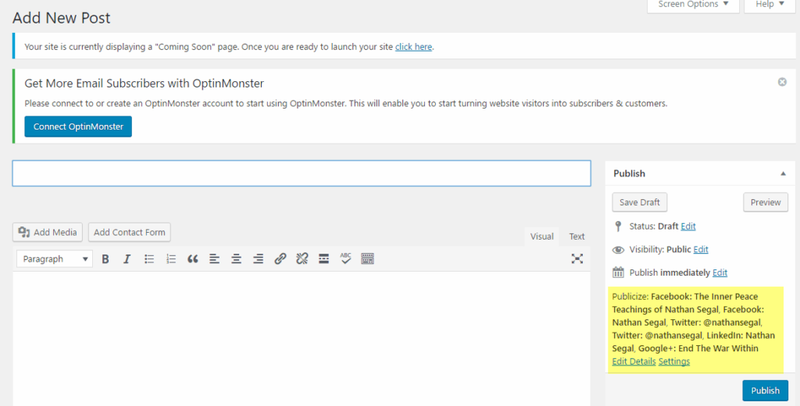 This post will cover setting up Jetpack, if it is not included with your installation, and then linking social media accounts to it to automate posting to them when new blog entries are published on your site. Note that this is not an explanation of the many social media widget plugins out there, nor an explanation of how to make your own, but rather the use of Jetpack to create social media posts on your own accounts when you publish a blog article on your site. To get started, go to Jetpack.com. As you can see, there are two options, the free install or pricing. In this tutorial you’ll see the free installation. When you click on the Install Free button, the screen above appears. Enter the full URL of your WordPress site. When you do, the blue Start Installation button appears. Click on it to begin installing Jetpack. On the screen above, click on Install Jetpack. This takes you to yet another screen. Click on the blue Install Now button at lower-right. This redirects you back to WordPress, where you are informed that Jetpack has been successfully installed. Click on the Blue Activate Plugin button to activate Jetpack. At this point, you will come to a screen which could look like the above. 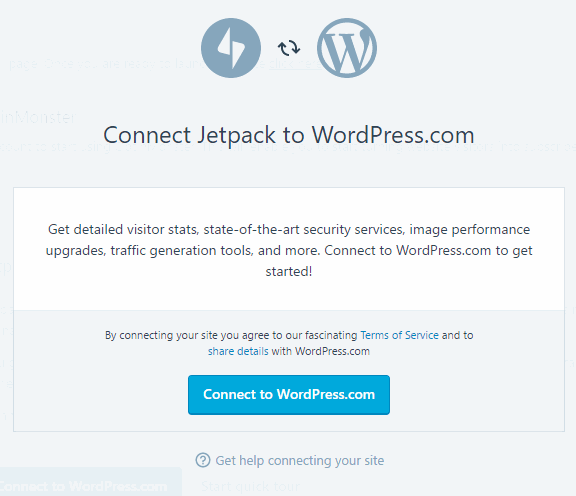 This will allow you to connect Jetpack (via WordPress.com) to your installation. 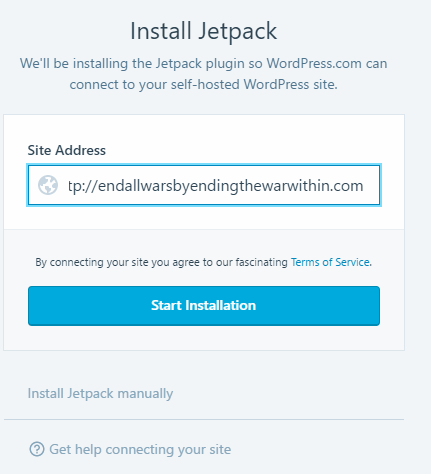 When you press on the connection button, you will either need to sign in to an account on WordPress.com (or else sign up for one) to connect Jetpack to your WordPress installation. 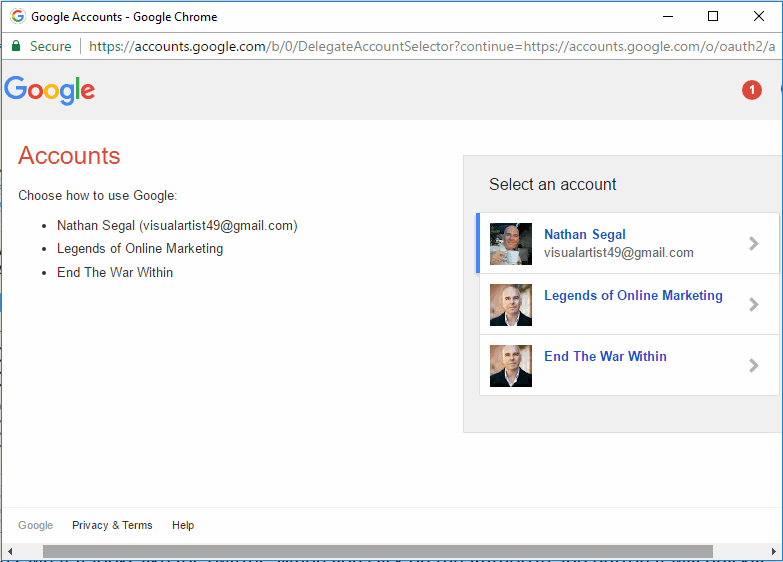 Once you click on the blue button to connect your account, you will be redirected back to your installation, where you should click Jetpack in the sidebar. This brings you to the Jetpack page. Click on the Sharing tab and on the Sharing page, click on the Connect your social media accounts link. 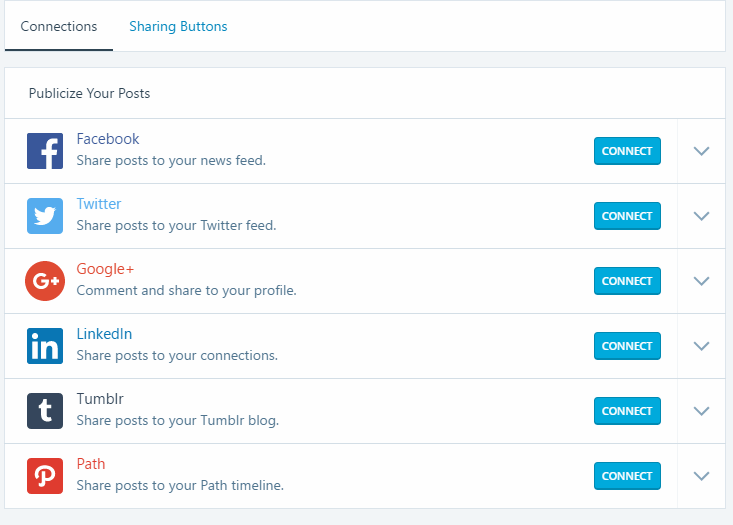 That brings up the Publicize Your Posts page above, where you can connect as many as six social media accounts. Note that you need to have the social media accounts you wish to connect to already set up, or the connection process will fail. The process will be different for each social media account. Here’s what it looks like for Facebook. As you can see in the instructions, choose the account you want to authorize. Note that your posts will be shared to the selected account automatically. Once the process completes, your Facebook account will be connected. Here’s what the process looks like for Twitter. 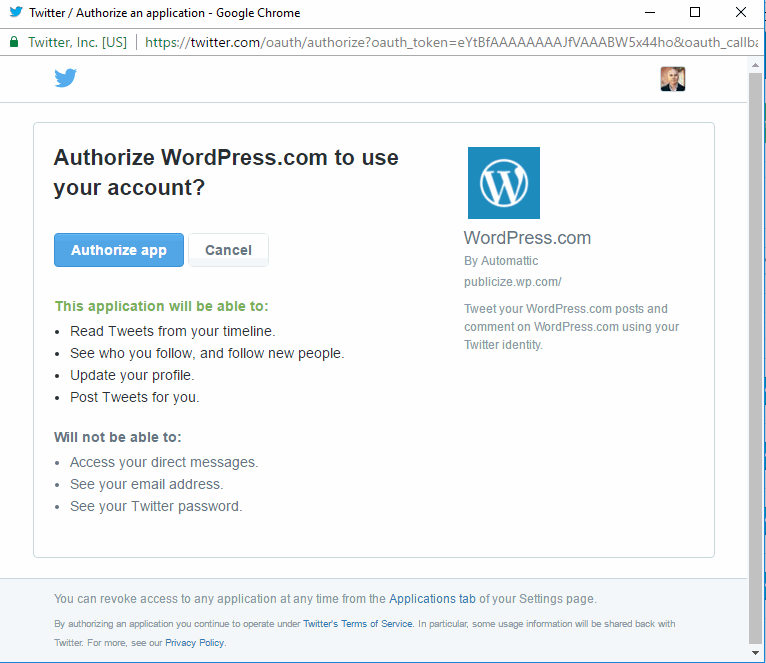 When you click on the Authorize app button it will quickly connect Jetpack to your Twitter feed. We’ll have a look at one more, Google+. This is what the connection screen looks like above. When you click on an account, a screen will pop up asking you for offline access. Click on Allow. This will take you back to Jetpack and there will be another connection screen. Click on the Connection button. 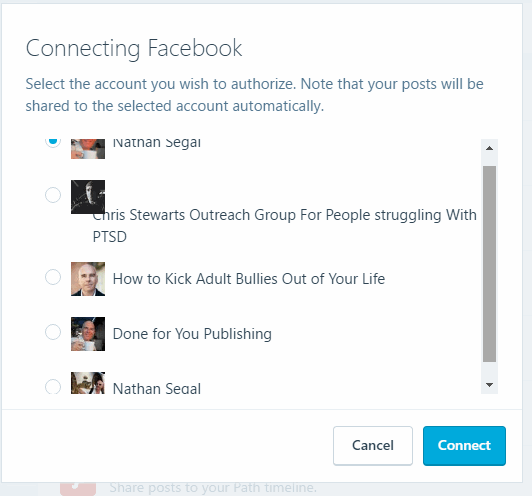 Here’s what the Connections tab looks like with three social media accounts connected. When you’re satisfied with the number of sites you’ve connected, click on the name of your site, top-left. This takes you to your website site display. 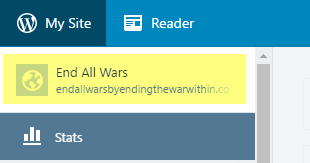 Go to top-left and where you see the name of your site, click on it. In the drop-down that appears, choose Dashboard and you will return to the back-end of your WordPress site. Once there, to go Posts and click on Add new. While you can now set up a post, what’s most important on this page are the settings far-right under the Publish Immediately heading. These are the various Jetpack links to your social media accounts. Here, you see each account and at the bottom of this section, you see the headings, Edit Details and Settings. These allow you to control how you publish. As an example, depending on the post, you might not want to publish to all your social media channels. If that’s the case, click on the Edit details link. You will see the options above and you can choose where you want to publish your post. 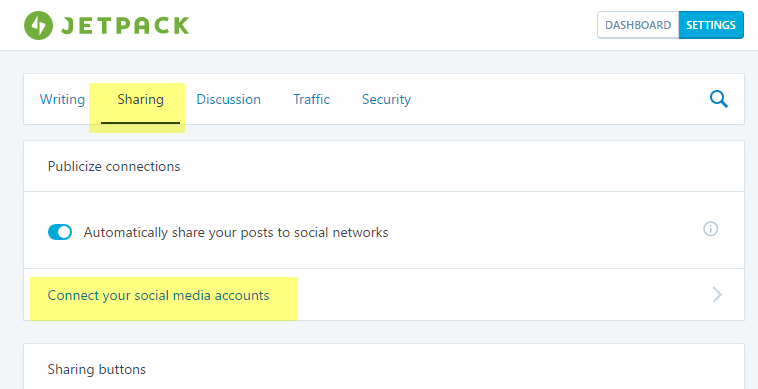 If you decide to add or disconnect any of your social media accounts, click on the Settings link. 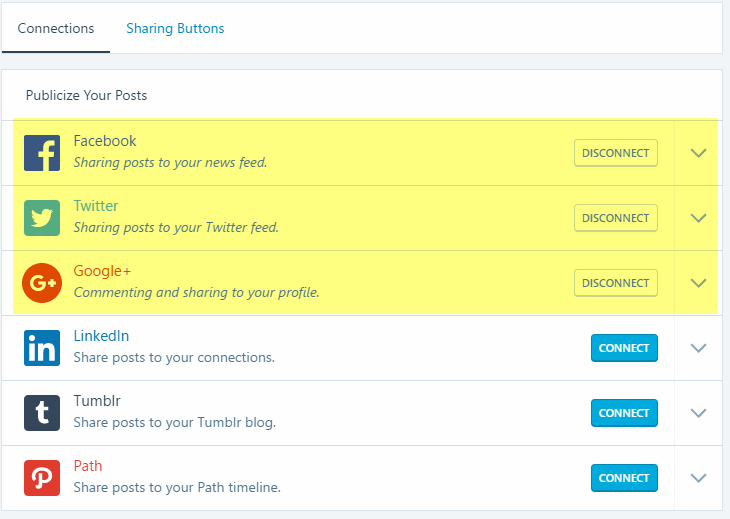 This will take you to the Sharing Setting section and you can change your settings accordingly. That’s it! 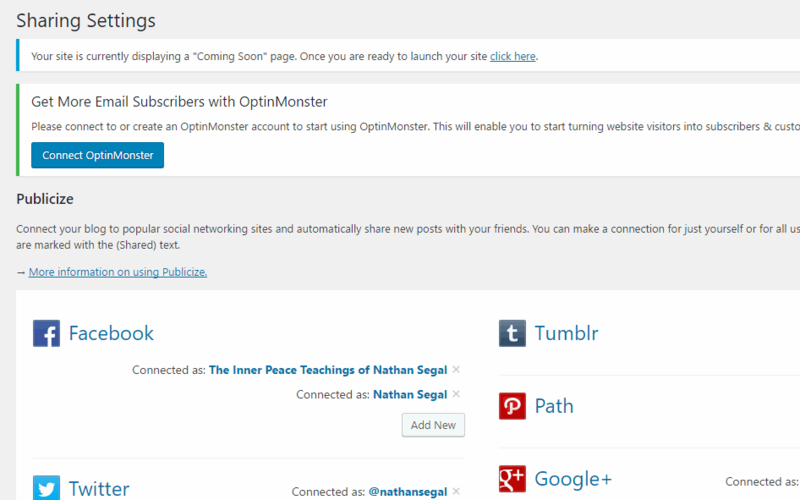 Now you’re all set to automatically post to social media when new posts are added to your blog! 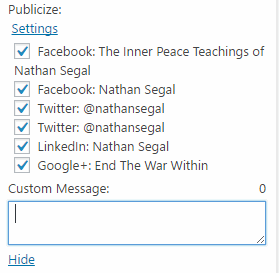 Nathan Segal has been working as a freelance writer for 18 years. He written over 1,000 articles and has published 9 books, mostly on computer graphics and photography. You can learn more about him at http://NathanSegal.org.